Arrowhead Clinic. Where it Pays to get well. Our Athens clinic offers the best chiropractic care to our valued patients. Have you been Injured in an Accident? Are you dealing with Neck or Back Pain? Your top priority should be contacting a Athens Chiropractor to assess your injuries and get the pain relief you need. Our Top Chiropractic Clinic in Athens, Georgia has been helping our patients that suffer from neck and back pain and accident injuries for over 40 years. Our Chiropractic Doctors are on a mission to restore all of our patients to a pain free state through the use of our advanced Chiropractic training. Our Doctors of Chiropractic work hand in hand with Medical Doctors to develop treatments that address each person's pain levels, unique conditions and needs. It is our goal that everyone who visits Arrowhead clinic recieves the best care possible and fully recovers from their accident. If you or someone you know is suffering from an injury or were hurt in an accident, contact our Athens Chiropractors for a free consultation to see how we can help with your recovery. Click on the link below today! What Separates Our Athens Chiropractor? If you are suffering from a pain condition or were injured in an accident, our Athens Clinic may be the best place for you. Our Athens Chiropractor, Dr. Todd Hardison is dedicated to helping each patient with their recovery. He will perform a physical exam and take a complete history of the patients health and pain conditions. Depending on the patient's conditions, he may order tests such as X-Rays or MRI to determine the exact cause of the pain. Dr. Hardison will then come up with a specialized treatment plan that will be focused on fixing the underlying cause of pain. Our unique customer service method is what sets us apart from other Athens Chiropractic Clinics. Once the treatment plan is put together, Dr. Hardison dedicates his expertise and skills into each patient's recovery. He is committed to seeing positive results in every patient. Chiropractic care is a natural method used for healing the body. It is an alternative method used to treat acute or chronic pain conditions. Our chiropractors are experts at using musculoskeletal adjustment techniques to help relieve the pain our patients feel. Helping the Body to Heal Naturally: Chiropractors use treatments that naturally assist your body in fighting disease, as well as correct issues that are causing pain. Does not Require Drugs or Surgery: Chiropractors perform musculoskeletal and spinal manipulations to correct vertebral misalignments in the spine. The hope of these techniques is that the patient will not require pharmaceutical drugs or invasive surgery. Chiropractic care is considered a natural method of healing that stimulates the body's communication system. 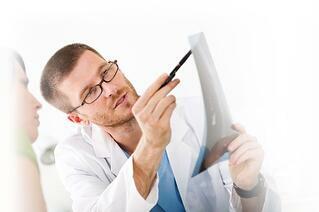 Partner with Medical Doctors: Our Athens Chiropractor also work with with Medical Doctors. They work together to address each patient's health and wellness, and design a treatment plan that is unique for each patient's experience. Immune System Improvement: When you receive a chiropractic adjustment, the doctor is removing subluxations that are preventing the nervous system from properly working. When your nervous system is working properly it allows your immune system to function properly as well, meaining you should be able to recover from illness faster. Improves Sleep Hygiene: Many sleep issues are the result of pain, body aches, or stress. When you resolve these issues with chiropractic care, it can greatly improve your quality of sleep. Our job is to find what is causing your pain and treat you accordingly. Many people who contact our Athens Clinic are suffering from an injury they sustained in one of these types of accidents, however, we do not limit ourselves to only helping accident victims. As Chiropractors, our main focus is on diagnosing the cause of your pain. It is our goal to locate and eliminate the cause of your condition which will in turn alleviate the symptoms you are experiencing. 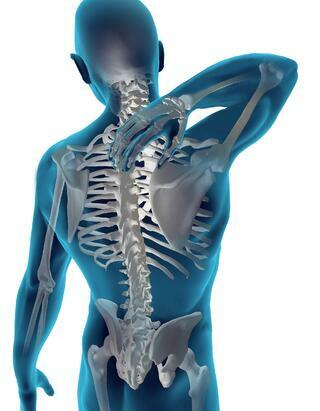 To do this we have a wide variety of treatment options available and our Athens Chiropractors are trained in the most up-to-date techniques and procedures. 1.Chiropractic Adjustments: Spinal manipulations alleviate pressure from the neurological tissue, restore blood flow, increase range of motion, reduce muscle tension, and creates a chemical response in the body that will act as a natural painkiller. 2. Decompression and Traction: Spinal decompression is a type of motorized traction that uses a system of rollers to move about the spinal erectors, while stretching and massaging the muscles in the back. Sciatica, Herniated Discs, Bulging Discs, orDegenerative Disc Disease. 3. Electrical Stimulation Therapy: Electrical Stimulation is a therapeutic treatment that uses electrical stimulation to treat muscle spasms, cramping, and pain. It works by mimicking the way the body naturally exercises its muscles. The electrodes that are attached to the skin will deliver an impulse that contracts the muscles. It helps patients increase their range of motion and improves the circulation in the body. Typically electrical stimulation is used to treat sprains, scoliosis, sciatica, back pain, and arthritis. 4. Pelvic Stabilization Drills: When a patient presents a leg length deficiency, flat feet, and subtalar instability, Dr. Todd Hardison from our Athens office may prescribe a small heel lift to be placed in footwear for the short leg. This should help to stabilize the pelvis and correct the walking gait which will alleviate tension. When you are making the choice to see a chiropractor to treat you pain or injury, there are a few important aspects to contemplate before making a decision. 1. Check Reviews: When you Google a Chiropractor be sure to see if they have any reviews. Take some time to view them and see what others have said about the chiropractors and clinic before you decide to call them and make an appointment. 2. Meet with the Chiropractor: Most Chiropractors should be willing to meet with you for a free consultation to see if they are able to help with your particular injury or pain condition. This is the time to find out if the Chiropractor and their clinic is the right fit for you. 4. Fees: It is important to find out what the cost of your treatment is going to be. If you have insurance they should be able to tell you what it covers, if you're paying cash find out the cost per visit. If you were involved in an accident, find out if the Chiropractor works with an attorney on a lien basis so you are not held responsible for the medical bills. If you are experiencing pain or were injured in an accident, our Athens Chiropractor may be able to help with your recovery. The Chiropractors at Arrowhead Clinic in Athens, Georgia have been treating pain conditions and accident injury victims for over 40 years. We take pride in providing a natural approach to healing and wellness. Dr. Todd Hardison from our Athens Chiropractic Clinic provides a free consultation to see how she can best assist with your treatment and recovery. If you would like to speak with her directly, click on the link below now.